If you find yourself hiding your smile due to imperfect teeth, Collegeville Dental Center offers solutions. With cosmetic dental services, our Collegeville dentists restore the luster of patients’ teeth, enhancing confidence by improving aesthetics. Dr. Volkova repairs damage to teeth sustained with everyday use or by injury, delivering quality care with a gentle approach. Your smile is our main concern, and it is our goal to preserve natural dental structures through conservative cosmetic procedures. Teeth whitening provided by our practice can be completed in-office or through take-home kits. Utilizing a laser whitening system, our dentists create uniformly bright smiles by the time patients leave the dental office. If a patient would like to whiten their smile in the comfort of their own home, they are given trays and bleaching agent. This allows you to brighten your teeth at your own pace. The trays are fabricated to securely fit the contours of your teeth. Invisalign® clear braces are a discreet orthodontic method to correct mild to moderate alignment issues. These trays are conveniently removable so you do not have to avoid your favorite foods or worry about damaging your appliances. Removable aligners can also be used in conjunction with at-home bleaching kits provided by Collegeville Dental Center. Patients can whiten their teeth while straightening their smiles. Lumineers® conceal imperfections such as cracks, fractures, or discolorations. They are often called no-prep veneers, as alterations are not made to your natural tooth before the restoration is applied. Crowns are fabricated in our Collegeville office through the use of CEREC or a dental lab, depending on your needs. Restorations protect the remaining tooth from bacteria and help you regain full bite function. CEREC crowns provide beautiful restorations in as little as one appointment, while prosthetics crafted by a trusted laboratory offer the level of customization necessary to treat highly visible teeth in your smile. If you feel self-conscious about your smile, contact Collegeville Dental Center for more information about our cosmetic dental services. Drs. Volkova and Zavlny use their expertise to recreate the natural luminosity of a healthy smile. Using conservative, state-of-the-art procedures, our patients leave our practice with beautiful, long-lasting smiles. By incorporating innovative dental equipment, Dr. Volkova is able to strategically plan your treatment based on your dental needs, while fulfilling your cosmetic goals. In addition to CEREC same day crowns, we use digital impressions to take highly detailed images of your teeth and soft tissue. We can also utilize dental lasers for accelerated post-treatment recovery and improved results. 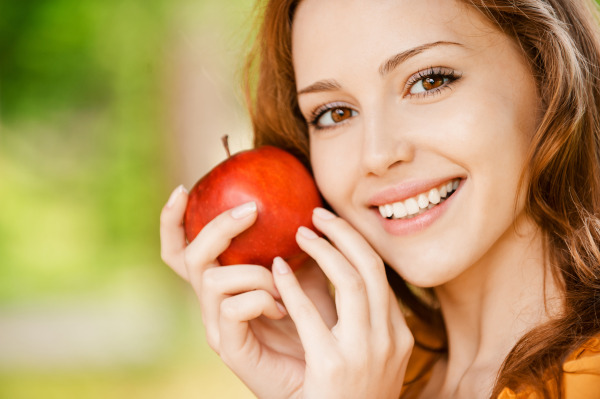 Correcting your smile with cosmetic dentistry can help improve your oral health as well your appearance. For more information about Dr. Volkova and the cosmetic restorations offered at Collegeville Dental Center, contact our practice today! Our dental team looks forward to helping you achieve a healthy, vibrant smile.